As the state deals with the effects of environmental change and the drought, California government seeks to find innovative ways to reduce waste in resources and increase sustainable practices. 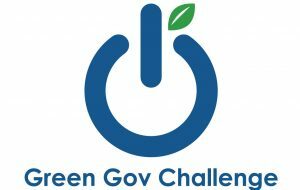 As part of the Innovation Contest (AB 2138- Gatto), the Government Operations Agency and the Department of General Services are looking for innovative solutions that will help California improve its sustainable operations and engage with the public. We want the public to leverage the pilot Statewide Open Data Portal and use publicly available data sources to help citizens and decision makers understand the state’s progress on achieving sustainability goals and to help policymakers and implementers inside state government make informed decisions. Drawing at least one data set available through the pilot Statewide Open Data Portal, this innovation contest will focus on creating apps, visualizations, and other tools that can help improve government sustainability practices. Contestants should be able to harness and visualize data sets to empower citizens and policy makers with data to evaluate the progress of each department toward established sustainability goals that will lead to better informed policy and implementation decisions. Reports departments’ progress toward established sustainability goals. Incorporates as many of the data sets provided as possible, as well as other publicly available data sources. Automatically updates as data sets in data portal are updated. Code for Sacramento: We will partner with Code for Sacramento and reach out to the brigades in San Francisco and Oakland to spread the word about the contest. Code for Sacramento will serve as an advisory role throughout our planning process. CA Pilot Open Data Portal: We will contact registered participants once the portal goes live. We also strongly encourage that you seek additional data sources and share them here. Sustainability Goals: This document summarizes some of the Governor’s sustainability goals.